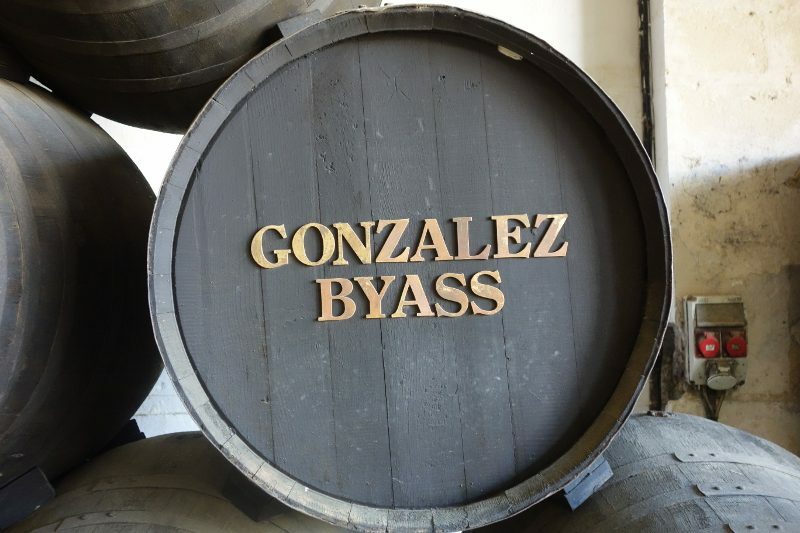 The Gonzales family established the Gonzales Byass Winery in 1835 in the town of Jerez. Today, the company’s Board of Directors is made up of Gonzales family members from the 4th and 5th generation who continue to keep the traditional winery thriving. 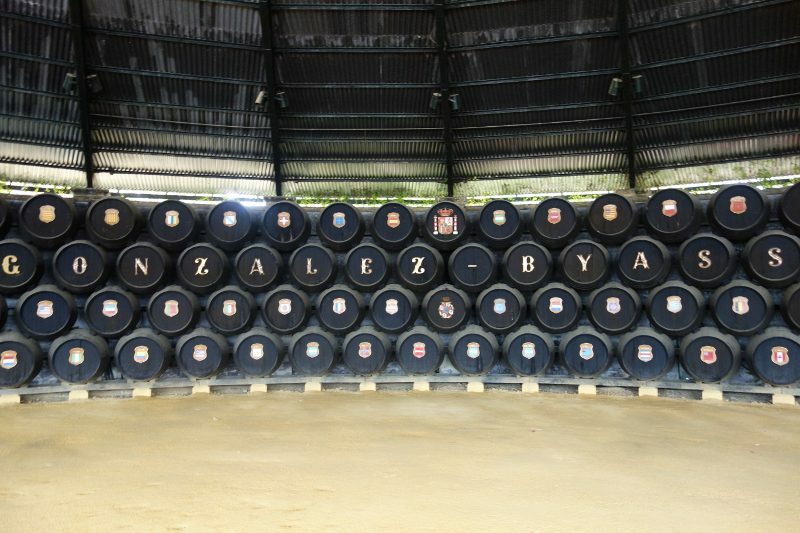 Stemming from the Arabic name, Jerez, Sherry is a fortified wine that is produced in Spain’s “Sherry Triangle.” In order to be considered true Sherry, the wine must legally come from one of the three Spanish towns that make up the triangle: Jerez de la Fronterra, Sanlucar de Barrameda and El Puerto de Santa Maria. The Gonzalez family icon is also that of Spain’s first registered trademark, Tio Pepe. After the company’s creative director created a series of bottles dressed in clothing, Tio Pepe stood out among the rest and quickly became one of the most well known icons for Sherry today. 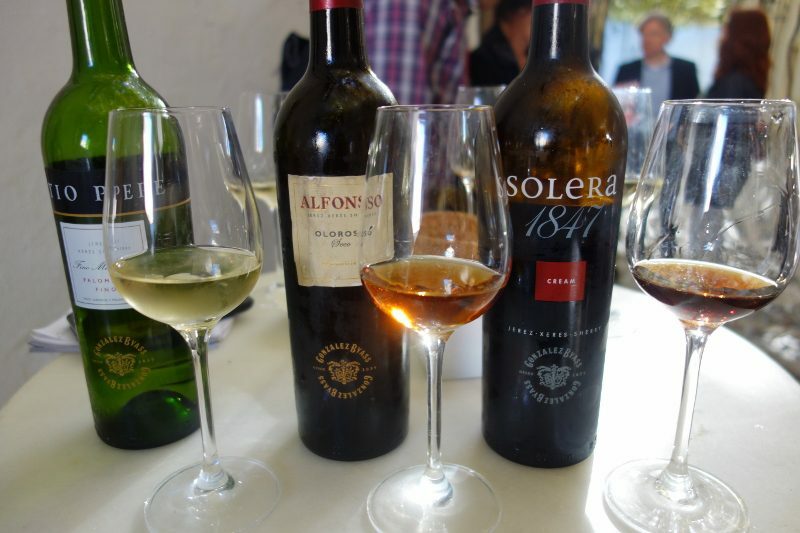 Sherry is comprised of two types of grapes, Palomino and Pedro Jimenez. Palomino is used for the dry Sherry whereas Pedro Jimenez, which is dried in the sun for approximately 20 days, makes a sweet wine. The soil of this region makes for the growing of these varietals ideal due to a rich limestone base. 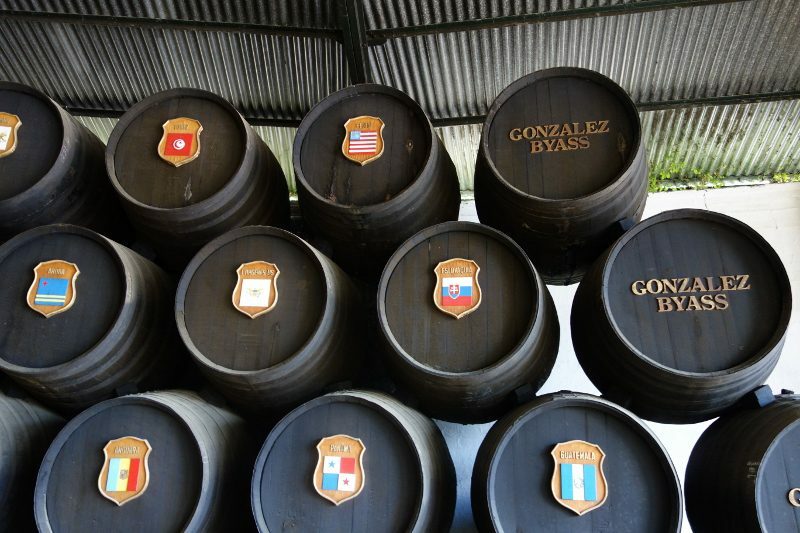 Once harvested and fermented, the Sherry is left to fate and will either become a Fino or Oloroso. 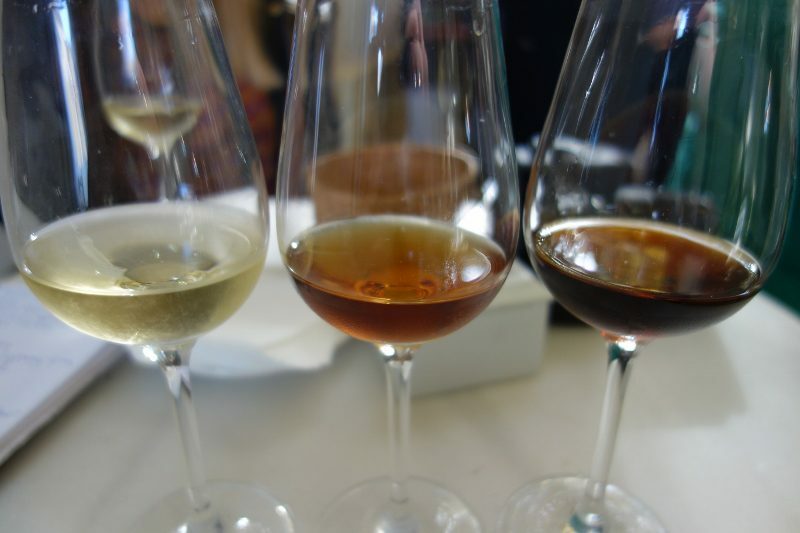 Fino and Oloroso are the predominant types of Sherry and vary in body; Fino is very dry with a lighter body, and Oloroso, still dry, has a much richer body and flavor. Aside from wine-making, the family has always shown a common interest in preserving the land and culture from which their company originates. Located in the heart of town, the winery boasts 250 barrels with 150 flags of the world, as well as flowers and trees from all countries they export to. Inside the winery, there is a glass of sherry left out daily for the winery mice. 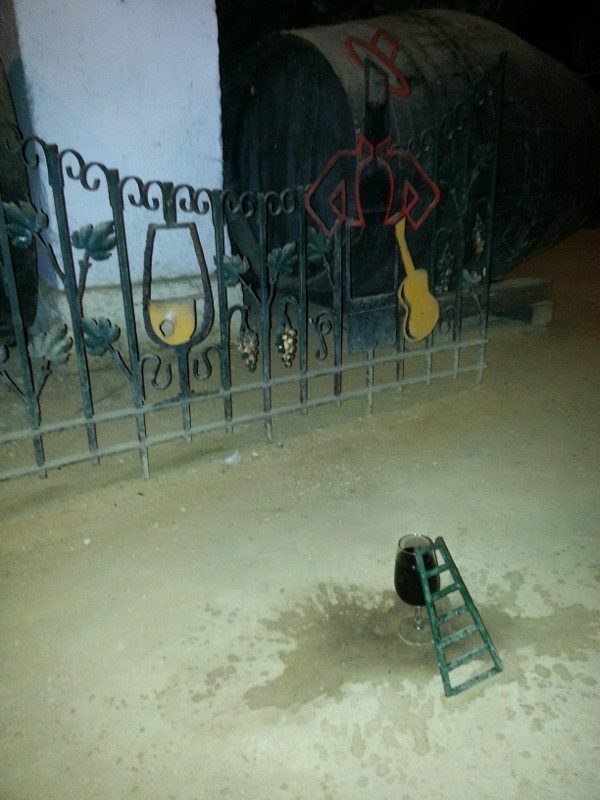 Many years ago, the workers in the bodegas learned that the mice enjoyed sweet oloroso so they began leaving some out for them, including a tiny ladder propped against the side to make it easier for the mice to reach the sherry. While I didn’t not witness a mouse sipping from the glass on my visit, it has been captured in the past and can be seen on YouTube. 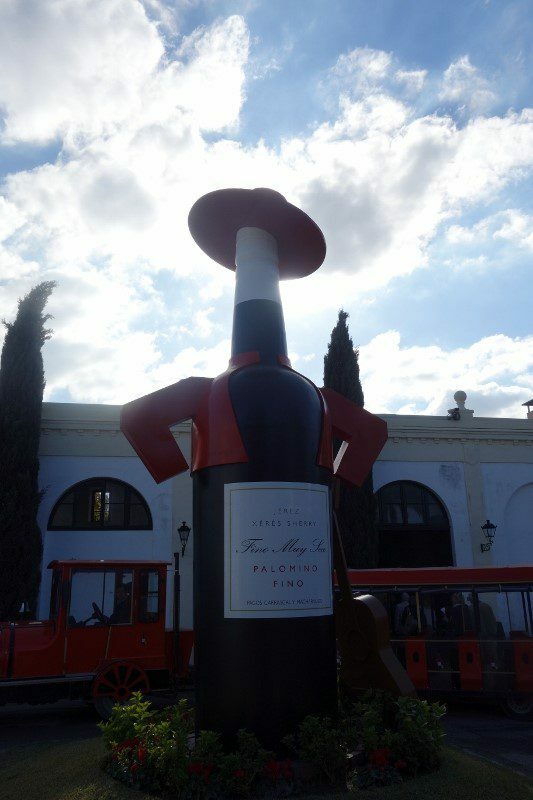 This entry was posted in Lifestyle, Wine and tagged Fino, Gonzales Byass Winery, Jerez, Oloroso, Palomino, Pedro Jimenez, Sherry, Spain, Tio Pepe, Wine by Allison Levine.